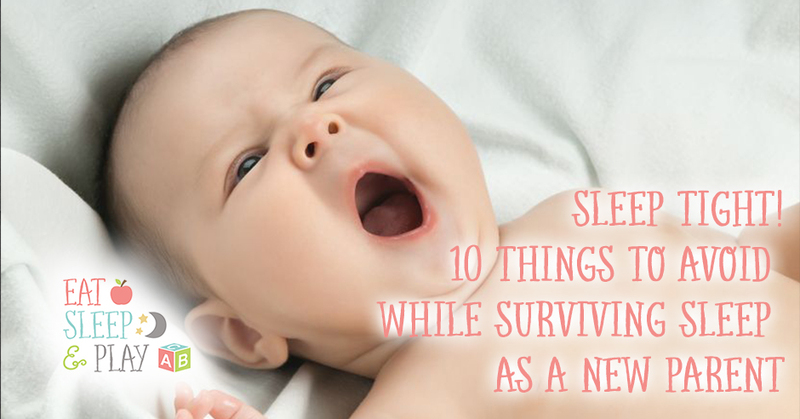 When it comes to babies and surviving sleep, everyone has an opinion. And every opinion seems to clash with the one that came before it. On top of all this advice, much of it unsolicited, you might find that you are also in desperate need of good sleep. The good news is you can put this issue to bed by making sure to keep from doing these things so that you and your baby can get to Sleepyland that much faster. Babies, particularly newborns, can be over-stimulated by the simplest things. 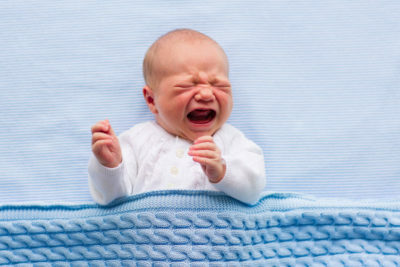 Bright lights and loud sounds will keep your baby up longer. Instead, dim the lights and keep noise to a minimum. Engage in quiet and calming activities such as a bath followed by a gentle massage and a bedtime story. Babies and small children thrive on routine. Even newborns will take hints from your cues if you keep repeating them. Eventually, bedtime routine activities themselves will make your little one sleepy. Now it’s not a good idea to crank up your favorite rock music and stomp around, but there is a certain kind of noise that babies like. Because they are used to the whooshing sounds your body made while they were nestled in your womb, they love white noise. When it is too quiet, it’s unsettling. But when you turn on some white noise, this brings them peace. As a bonus, white noise also drowns out background noises so you don’t need to cringe in fear should you accidentally drop something in another room. Your baby likely won’t hear it over the soothing sounds of the white noise. Along the lines of consistency, babies need to go to sleep at a reasonable time each night. If you keep them up beyond bedtime, this will have an opposite effect, resulting in a baby that’s tired, cranky and inconsolable. It will only make things more difficult for you when you do put your baby to sleep. Don’t listen to people who brag about their babies sleeping through the night when they were just a few months old. That’s not biologically normal for most babies. It is very normal for babies to wake up often in the night. Breastfeeding babies will do so even more. Just remember that every mom and baby is different and you need to go with what is right for you and your baby. Babies grow up all too fast. Before you know it, this phase will be over and a new one will begin. 6. Over-analyzing your baby’s sleep patterns. The fact is that babies sleep patterns change rapidly in the first year. Your child might go from sleeping through the night for 4 months to waking up every two hours for the next 3. Reading into everything like ‘did my baby have long enough naps today?’ or ‘did I try hard enough to get enough milk into them today?’ is pointless. Because their brains are developing at a rapid pace you really have no control over. 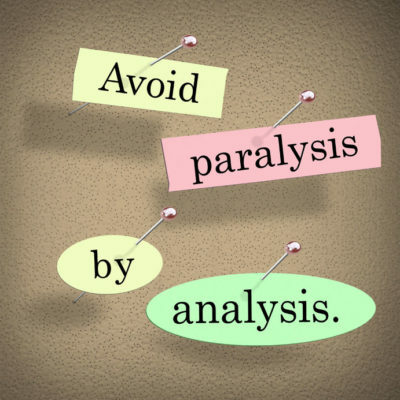 Stay aware but don’t stress yourself out! 7. Avoiding bedsharing to avoid creating a ‘habit’. Survive now, gently break the habit later. Having your baby in your bed now has no indication on them being in your bed when they are 3, 5, 9 whatever. Parents seems to be inundated with the fact that they can spoil their baby. You actually can’t spoil a baby with love. Again, they lived in your body for nine months and are not developmentally ready to be away from you. You are their food, their comfort, their warmth – everything. Forcing them to sleep alone now based on unrealistic societal expectations will only make the both of you suffer more. When they are older and more developmentally established you can explain to them that they need to sleep in their bed. Survive now, save your sanity and build a better bond with your baby. 8. Not going to bed with the baby. Let’s face it, it’s all naps. There is no such thing as ‘down for the night’ with a baby. My biggest regret was putting the baby down at 9 and knowing he would probably do a 3 hour stretch. Then staying up for an hour or two trying to get some me time. You WILL get me time again. Soon. Sooner than you realize that baby will actually be a lot more grown up and ready to sleep through the night. They will also be ready to not cuddle mommy like they used too. Once you get back to being yourself and having more space you will barely remember those tough times. So just go ahead and forget about being alone for now. (Unless of course you need it!) You will appreciate those extra hours of sleep before the first wake up. 9. Staying inside all day and night. Sunshine is like a magical drug that makes your baby sleep. Heck it helps your toddlers along too! Check out this article from the telegraph. 10. Making sleep a negative experience. If we make sleep feel like a lonely, isolating experience filled with frustration and tension it can be hard for anyone to sleep. When babies cry and emotions are high there are many times that a parent can feel overwhelmed and even angry. Roll with the punches and accept that for the time being this is only a stage. If baby goes to bed at a time that works for baby then everyone will experience less stress. Keep a routine but don’t count on a schedule. Routines are pleasant and comforting experiences for children. Schedules can be rigid for actively developing brains and systems. They stress parents out too! Go with the flow, be consistent but flexible. Stay kind to yourself and your baby through this tough time. It will be over before you know it.